Diane Kruger always thought it would be 'cool' to play a female version of James Bond. The 42-year-old actress is starring in the much-anticipated Yuval Adler-directed film The Operative, which follows a rogue spy from Israel's feared national intelligence force Mossad, who vanishes while attending her father's funeral. 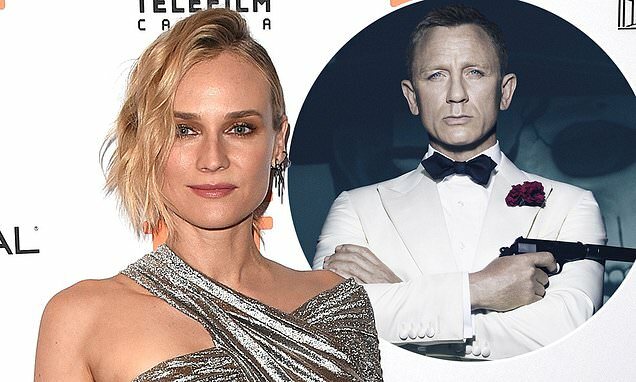 And the blonde beauty admitted to The I Paper that before she started filming the upcoming flick , she had always 'dreamed' of one day being the first woman to portray 007 - who is currently played by Daniel Craig. Diane also insisted that away from the cameras she is a very 'introverted' person and it is her acting career that has forced her to be more 'outgoing' to her benefit.